Recently the EM community found a way to spread education amongst programs globally by creating the hashtag #EMConf. 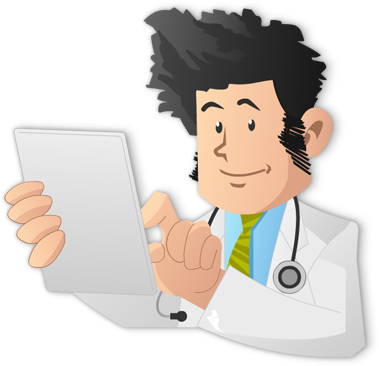 Residents, students, as well as programs tweet live from their didactics using this hashtag so that others can learn from each other virtually. Although IM conferences are not a half-day, once a week event, we do have morning report, grand rounds, noon conference, as well as other types of education including question/answer, journal club, etc. Why not tweet this information out and share it with each other? The purpose of this hashtag is to unite IM education through the use of social media. We can all learn from each other, and ask questions allowing all of us to contribute to the learning process of medicine. 1. If you don’t have a twitter account, log onto www.twitter.com and create an account. 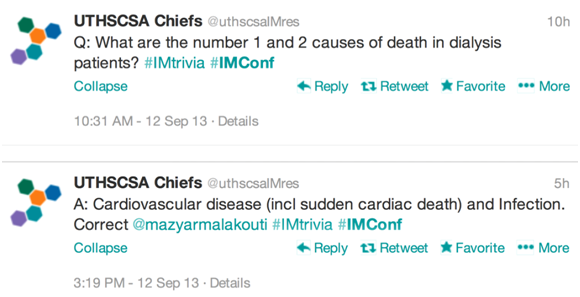 If you already have an account, just start tweeting from your didactic lectures and attach the hashtag #IMConf 2. 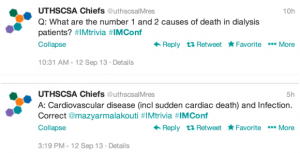 You can follow the conversation by one of two ways: Either go to symplur (http://www.symplur.com/healthcare-hashtags/imconf-3/) or just search #IMConf on twitter to see what the rest of the internal medicine world is learning. What IM Programs are on twitter currently? If you are an IM residency, attending an IM conference, morning report, journal club, or other didactic events be sure to attach this hashtag #IMConf and retweet what you find useful and good information for others to see. If you have any questions find me on twitter @srrezaie and don’t forget you can see how your program is doing and the impact it is making in global education in medicine at http://www.symplur.com/healthcare-hashtags/imconf/.